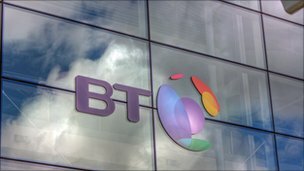 A power failure at a major exchange in Birmingham has seen huge numbers of BT Broadband customers across the UK cut off. The company said those affected numbered into the hundreds of thousands – about 5% of its total customers. Business users were particularly badly affected, with many reporting considerable lost revenue as a result. BT said the service has now been fully restored, advising customers to “turn their hub or modem off and on again”. The first reports of lost connections began to appear at about 13:00 BST. By 15:00 many customers on consumer packages reported being able to gain access, but business customers had to endure longer delays. In a statement, the company said: “We can confirm that, as a result of a power failure at one of our major exchanges, some customers may have experienced loss of broadband service for a brief period this afternoon. “All services have now been restored, with the majority of BT’s consumer broadband customers’ service being restored within just one hour. Many businesses contacted the BBC to vent their frustration at the service, suggesting today’s problems have had a serious impact on sales. Daniel Morris, in London, said: “Really frustrating for a small business as we are so reliant on the internet. In response, BT has said they have received a “large number of calls” and was doing its best to answer queries using social media and other methods. “We have been doing our very best to keep customers informed,” the spokesperson added. Truly appalling service, been offline now for 3 days when following the outage the hub was defective. Getting through to the offshore customer service is a joke, no use whatsoever, and tell you to remain in the next day between 10am and 12noon so the fault team can phone you to get you back on line. Day off work for nothing as no phone call received. They call you back on your mobile and which allows the conversation to drift and you hear about one word in 10. Communications company, BT you ought to totally ashamed of yourselves your handling of this crisis was nothing short of dire. This article has plenty of references to times but none to the date. Poor report to compliment the service. I thought the same as the above person. No times or dates……..when did this happen? Recently judging by first comment? Not really v helpful. trying to sort out a billing mistake have been talking to the indian call centre what a joke you should not be in business a complete disgrace.Cut off no returned calls try calling someone in uk no chance?????????? ?